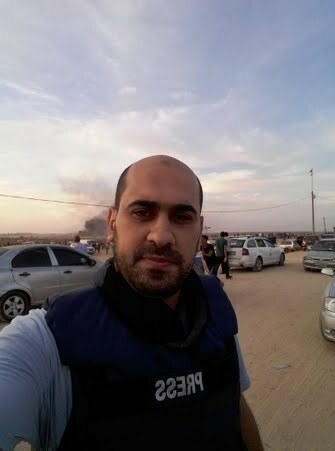 Mr.Abdelrahman Mahdi is a Palestinian Freelance based in Gaza Strip. He has worked as a Fixer with many western journalists in various media agencies. 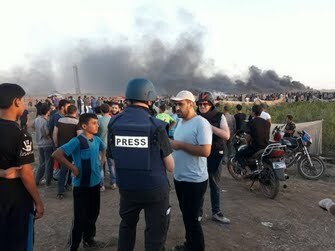 In addition, he has worked with many journalists and writers from different nationalities during their staying in Gaza strip. Mr. Mahdi covered  the 50-day war Israel & Gaza 2014, 8-day war 2012 and 21-day 2008 . He is a director of key west press office for servicing media staffs. 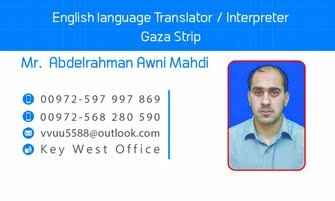 He has a master degree of English Translation from Islamic university of Gaza. 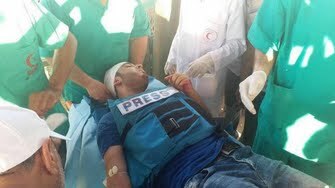 Mr. Mahdi has an official permission from ministry of interior in Gaza to receive and associate western media staff. And providing service for distance customers. 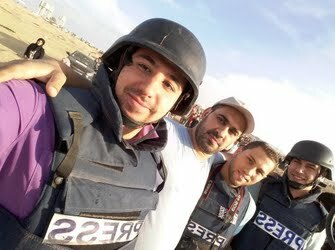 Mr.Mahdi with his press crew colleagues . 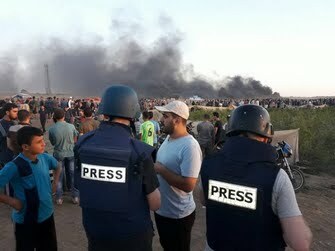 In east border of Gaza . On Friday 6th october, 2018. Mr.Mahdi interpretes the hard matter between Gaza and israel vocationally . Mr.Mahdi and Dutch staff during peaceful demonstration on eastern border of Gaza ; Mr.Mahdi is a Fixer and Freelance from Gaza strip .